We recently had a very special baby shower honouring our sister in law Jess. She's expecting a baby girl early next year. 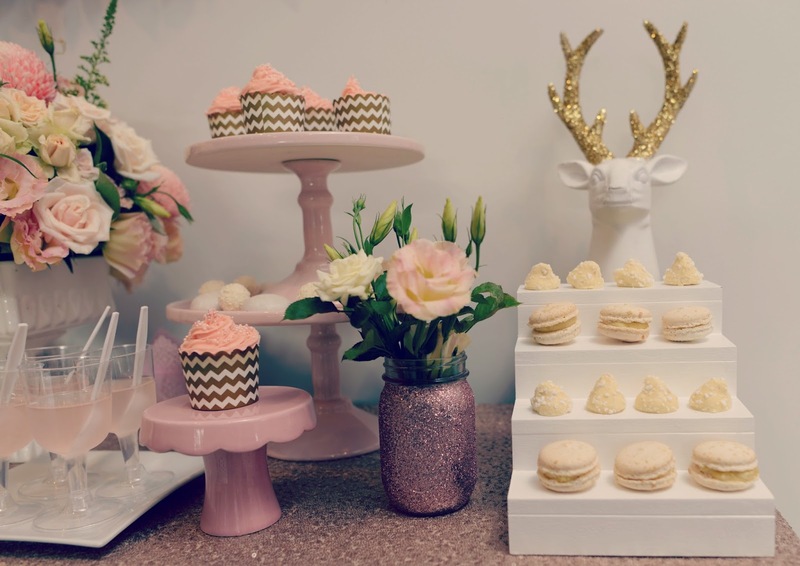 We styled the event with inspiration from gold and soft pink invites. 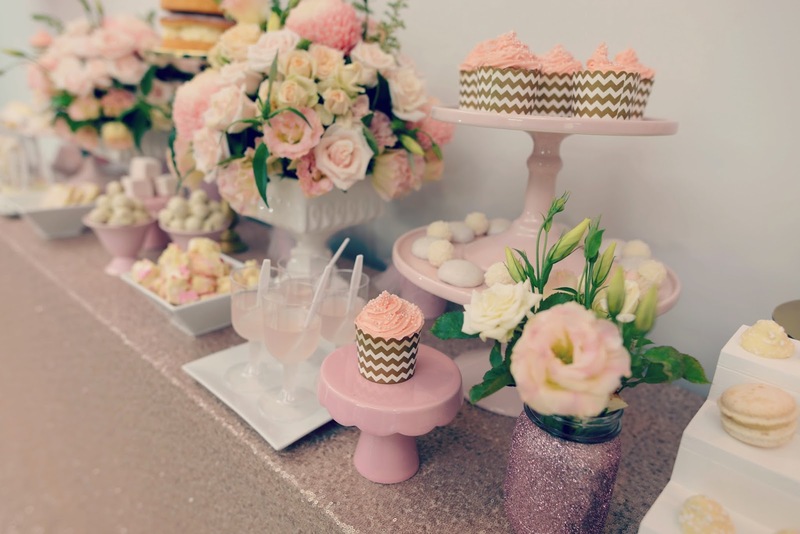 The one and only Sugar Coated Mama helped with planning and very generously set us up with gorgeous cake stands and props. 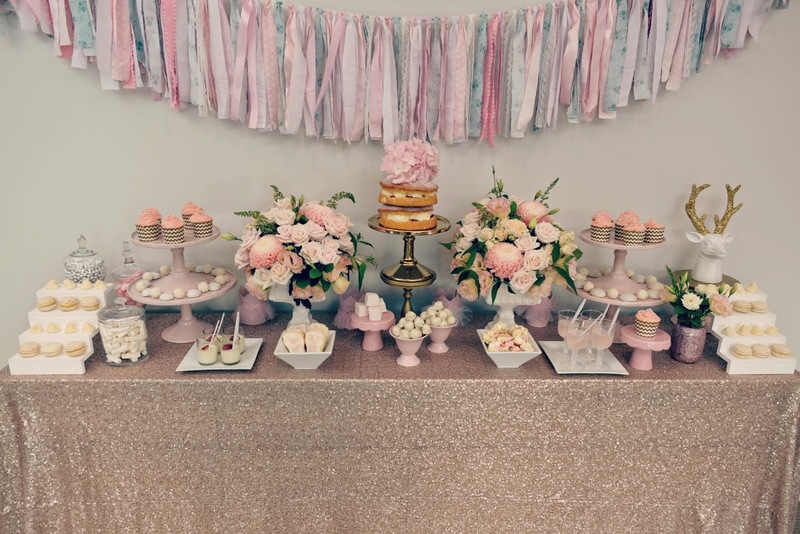 There's no doubt that the flowers really made the glittery sweet table special. They added beauty and glitz and glamour to our celebration. Sarah was on hand to design the two main arrangements, featuring soft pink spray roses, garden roses, lisianthus, and hand-dyed chrysanthemums. Usually we shy away from dyed flowers because when they drink up the dye they have a fake, veiny look about them. 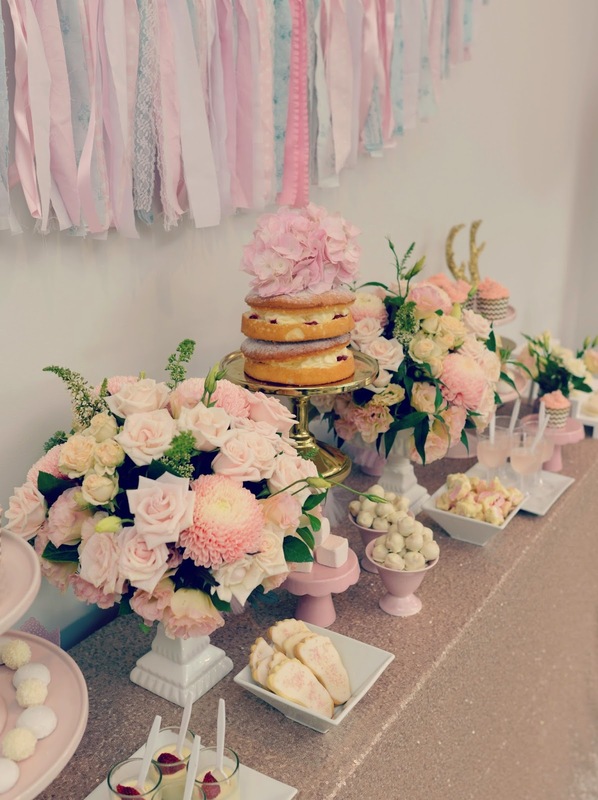 But the colour of these dyed chryssies suited the event so well, their soft pink was perfect. We originally wanted huge arrangements of light and blossoming looking pink hydrangea, but they require so much water that they just don't last the distance and start wilting. 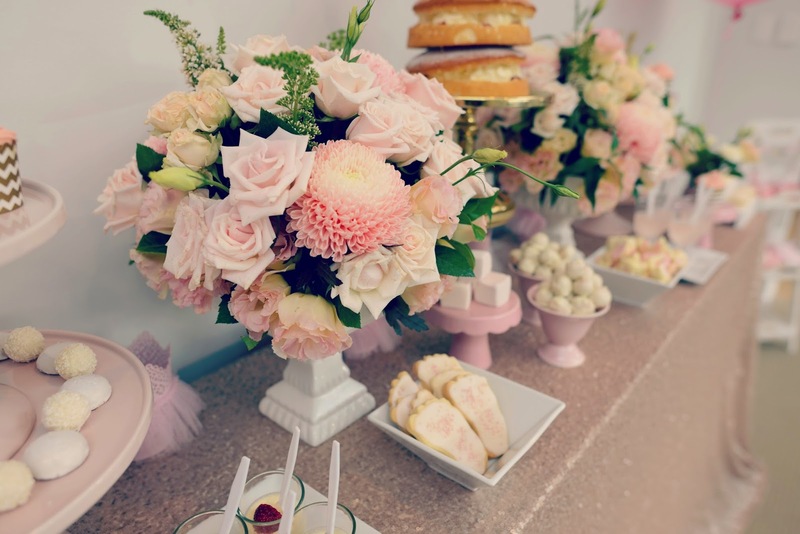 Instead we used hydrangea to top the cake and in jars and vases all around. A few days later Win found gorgeous gold garden roses at the markets! They would have been perfect too.